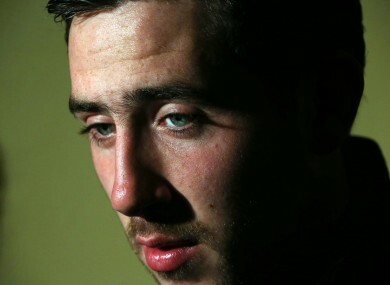 The Donegal player also revealed what his father said that moved him to tears in the aftermath of Sunday’s game. McHugh expressed relief that the Donegal supporters remained off the field after the final whistle on Sunday. DONEGAL’S MARK MCHUGH has highlighted this year’s quarter-final victory against Kerry as being the moment where the side started to believe they could win the All-Ireland. “Beating Kerry, one of the big three, really installed the belief we could win the All-Ireland,” describing the win as a “massive confidence boost” for Donegal. The quarter-final win was followed by defeats of Cork and Mayo in the semi-final and final respectively, as Donegal won their first All-Ireland SFC since 1992. McHugh also revisited the much-discussed incident in the game’s immediate aftermath, in which he gave his father an emotional embrace. McHugh simply explained that “emotions got the better of me”. He said that himself and his father had visited his grandfather’s grave earlier in the week, recalling how McHugh senior told his son “how proud [my grandfather] would be”. “Our very first meeting with Jim, a few of us knew him from the U21s, but it showed the more experienced boys what he was about. And speaking on the same show, Mayo’s Andy Moran said he was still bitterly disappointed with the outcome of Sunday’s encounter, describing the last few days as “tough” and suggesting that the side’s poor start to the game ultimately cost them dearly. Nonetheless, he remained optimistic about the future of the Mayo side. Email “Kerry victory gave us belief that we could win the All-Ireland - McHugh”. Feedback on “Kerry victory gave us belief that we could win the All-Ireland - McHugh”.